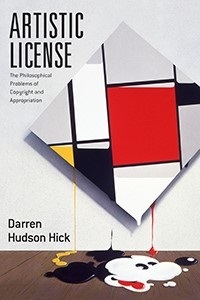 Darren Hudson Hick, Artistic License: The Philosophical Problems of Copyright and Appropriation. Chicago: University of Chicago Press, 2017. Imagine that you go to a gallery. 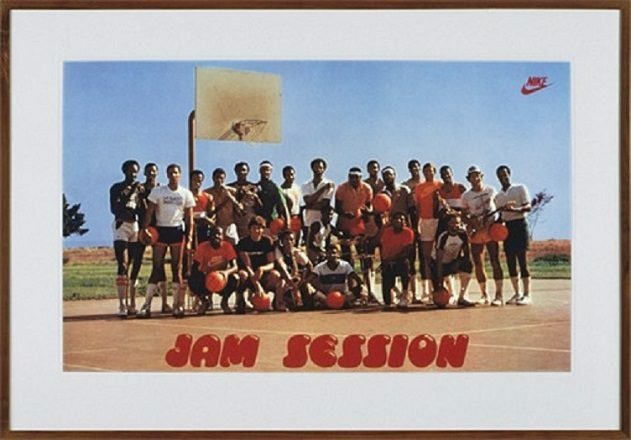 A Nike poster in a wooden frame hangs on the wall. The original designers are Tock and John Costacos; yet Jeff Koons is credited as the artist. Apart from framing and displaying it, however, Koons has not altered the poster in any way. Is the exhibit Koons’s original work of art? The intuitive answer is probably no. But in this thought-provoking study, Darren Hudson Hick makes the case for an alternate understanding of Koons’s gesture. Moving between the complex and contested spheres of copyright law and aesthetic philosophy—between at times arcane statutes and case law, on one hand, and no less thorny ontological questions about the nature of rights, creation, and ownership, on the other—Hick weighs a number of questions sparked in part by the broad efflorescence of appropriation art in the later 1970s and ’80s and still of pressing concern to many contemporary artists, critics, and scholars. In the end, he arrives at a somewhat paradoxical position, at once endorsing strong copyright protections and advocating for presumptive fair use by appropriation artists. These seemingly contradictory stands—one dedicated to protecting creators’ exclusive rights and the other to expanding fair use of protected materials—result from Hick’s proposals to bring the US fair use doctrine into line with what he presents as larger philosophical and legal principles. Artistic License comprises eight chapters along with an introduction and an afterword. The book’s argument develops in three broad stages, suggesting natural chapter groupings. The first stage—consisting of Chapters One through Three—deals with various (mis)conceptions about copyright, originality, and authorship. In the second portion, spanning Chapters Four through Seven, Hick explains the legal and philosophical reasoning for strong copyright protections. The final chapter and the afterword then turn to appropriation art and the case for presumptive fair use. Artistic License begins by challenging several commonly held beliefs about copyright. The opening chapter surveys conflicting attitudes toward intellectual property, with a particular emphasis on the postmodern rejection of the very idea of intellectual ownership—a refusal that Hick vigorously critiques. Here the author introduces a distinction that will prove defining in the book’s final section, between mere “takers” and “maker-takers”: those who simply pirate copyrighted material as opposed to those who repurpose it creatively (21-22). In the second chapter, he traces the practical interdependence of art and copyright, arguing that any attempt to disentangle the two would require fundamentally rethinking the practice and ontology of art (48), before addressing one of the most common objections to copyright: that there is no such thing as originality. Hick argues that the myth of unoriginality—as he terms it—misunderstands the Romantic notion of genius. He shows that the Victorians assigned the Romantics a strawman notion of originality as novelty, an alignment that maintained its power under otherwise disparate discourses of modernism and postmodernism (as, for example, in certain writings by Roland Barthes and Michel Foucault). Arguing that this definition has long muddied our understanding of copyright, Hick suggests the originality at issue has to do instead with the unique act of creation: “whether the work owes its origin to its author” (62). The specific nature of that act and its legal and philosophical status under copyright protection collectively constitute the central subject of the second section of Artistic License, which deals with questions about authorship, works, and rights. The analysis in these chapters dances back and forth between legal principles and aesthetic philosophy, to the extent that it is not always clear whether particular points are rooted in legal precedent or ontology. It is nonetheless here that Hick develops his core arguments in support of strong copyright protections and presents an idea that will drive much of the rest of the book: that “authorship of a given work consists in the exercise of one’s power to select and arrange elements as constitutive of that work,” according to generic rules or norms (76). This definition provides the basis for Hick’s theory of “authored works,” as distinct from the narrower class of things one might consider “artworks.” This framing—that an authored work is the arrangement of elements by an author to express an idea—amounts to an ontological definition of just what, exactly, is or should be protected by copyright; and as such, it proves crucial for re-conceptualizing the broader ramifications of copyright law—as when Hick goes on to argue for exclusive copyright ownership and to reject the case for user’s rights, which some opponents of copyright have proposed as a contrasting set of protections. Two important maneuvers follow. First, Hick criticizes both fair use and fair dealing doctrines, charging that the first provides insufficient legal guidance, while the second lacks flexibility. Second, drawing upon work by the moral philosopher Judith Thompson, he shores up her distinction between infringing an author’s copyright (copying a work without acting wrongly) and violating that copyright (acting wrongly in copying a work) (137). The claims and principles established in this second section of Artistic License set the stage for the culmination of Hick’s argument, which focuses on appropriation art and the revision of fair use. In the concluding chapter and afterword, Hick becomes prescriptive, promoting specific revisions to copyright and fair use laws based largely on the practice of appropriation artists (in addition to Koons, we also encounter Sherrie Levine and Richard Prince, among others). Drawing on principles established throughout his study, he argues for presumptive fair use of copyrighted material when an artist or author deploys that material to new expressive ends: “to whatever degree the new work appropriates from the preexisting work, where the new work is used to express some distinct idea, I would suggest that such a use be recognized as transformative and so presumptively fair” (158). The essential argument of Hick’s final chapter and of the book as a whole is that an expression—which copyright law is intended to protect—can be unique, even where the authored work is formally identical. Essentially, Hick argues that fair use should be presumed when “(a) the use was required for the second author’s expression (ordinary fair use case), or (b) the use expresses a different idea from that of the original author (appropriation art cases)” (168). To facilitate the equitable application of this principle, Hick suggests the establishment of a fair use board tasked with issuing non-binding rulings in disputes involving the use of copyrighted material. This, he proposes, would largely remove copyright disputes from the courts (though appeals would still move through the legal system) and turn it over to a panel of specialists in fair use law, thus reducing the problems that arise from the current, vague fair use doctrine. Artistic License makes a complex and interesting case for a unique understanding of intellectual property ownership and usage. Yet while the book’s project is ambitious and the arguments insightful, there are some limitations, primarily owing to Hick’s central focus on appropriation art and a certain lack of clarity about the larger implications of his proposed changes. For example, what effect might the expansion of fair use have on artistic productions that we do not think of as “appropriative” in the sense established by Koons, Prince, Levine, and others? On intellectual property ownership? On a culture increasingly rooted in borrowing without attribution? Might expanding fair use presumption worry artists concerned with protecting their work? Such considerations fall largely outside the book’s purview. The other, more fundamental issue concerns the seeming contradiction between Hick’s two major impulses: to enshrine strict copyright ownership as a natural right, and to expand fair use to include direct formal reproduction when the idea expressed is different from the one that presided over the work’s inception. While Hick makes a philosophically solid argument, in practice these risk being conflicting impulses. 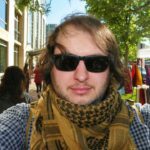 Despite these concerns, however, Artistic License offers a timely and intriguing intervention, pushing for a revision of copyright and fair use laws with an eye toward the contemporary art scene. In Edward Young’s 1759 Conjectures on Original Composition, many passages identify ‘genius’ with spontaneous, ex nihilo creation (52-53). However, Hick shows that Young carefully acknowledged creation’s dependence on existing materials, a concession often ignored by later critics (54-55). Phillip Zapkin is an Assistant Teaching Professor of English at Penn State University. He earned his Doctorate at West Virginia University. Phillip’s main scholarly interests are in contemporary Anglophone drama and adaptations of Greek drama/myth. His essays have appeared in Modern Drama, Comparative Drama, the South Atlantic Review, and elsewhere.